From the original: 'Barn Owl' (2016) by Rebecca Clark. Graphite and coloured pencil on paper. 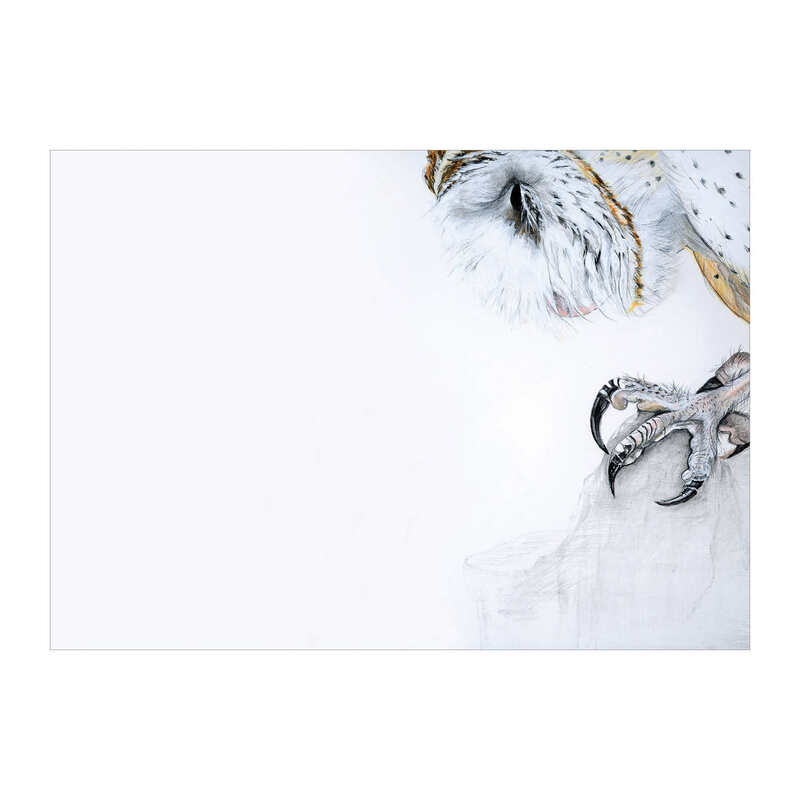 Printed on Fine Art matt cotton paper. A 100% TCF (Totally Chlorine Free), age resistant, traditional fine art paper with a smooth finish and fine textured surface. Supplied on stiffened board and sealed in a presentation bag. Rebecca Clark works from her studio in the Mid-Atlantic state of Maryland, USA. She says of her practice, "I make drawings of the natural world, transient moments of grace and beauty in an age of disappearance. Inspired by plant and animal studies of the Northern Renaissance, Netherlandish devotional panel paintings, and nature mysticism as expressed through various forms of art, music, poetry and prose, my art acknowledges interconnectedness in nature and our loss of connection with the sacred."